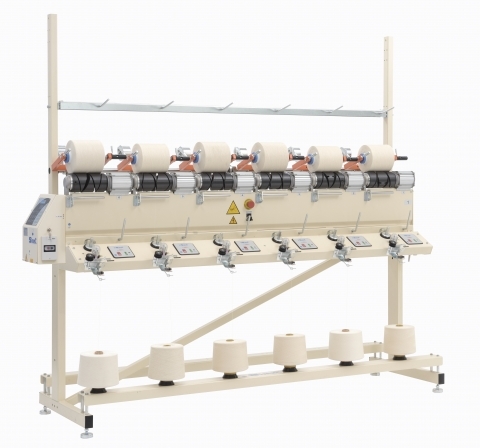 Electronic Winders with grooved drum for the preparation of packages for dyeing, weaving, knitting (flat and circular), socks and warping with or without waxing , with or without preset meter. It is possible to adjust the speed (from 200 to 1200 mt/min) and the radial anti patterning system in each 6 heads element. Yarn brake, counterweight and sliding of the cone holder, adjustable in each head, permit to obtain a homogeneous density which guarantees excellent results in all the working processes. 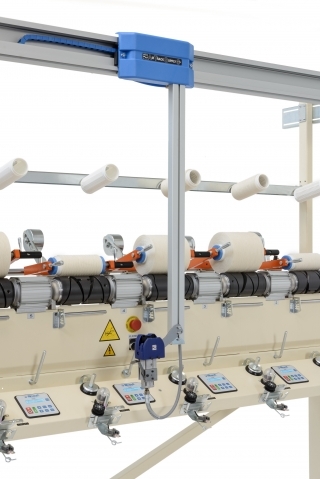 The motorized waxing device ensures a uniform distribution of the wax; the yarn tensioner is motorized and self-cleaning. Yarn passages protected by ceramic, avoid any rubbings harmful to the yarn quality. Electronic braking of the drum in case of stop (optional). 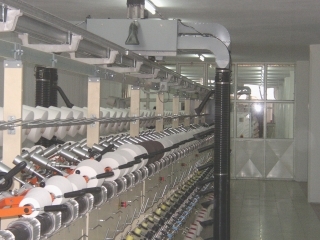 Model AL with positive feeder of the yarn is particularly suggested for winding continuous, slippery or chenille yarns. 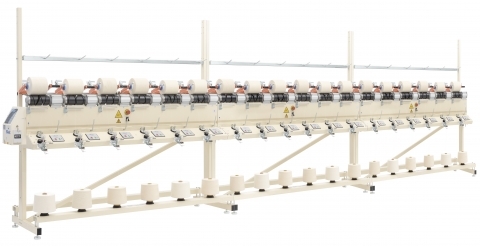 Model RR with feeder and yarn cutter has been created for picking up from bulking machines. Each element works as an independent unit in single or multiple configuration. 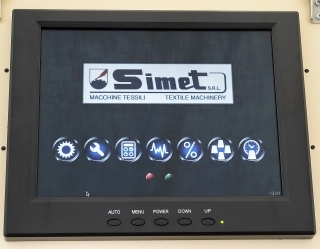 The high quality of the materials used in the building process makes the machine more solid and lasting in time. The maintenance is made easily and only the normal cleaning is usually requested. Electronic (adjustable) braking of the drum in case of stop. 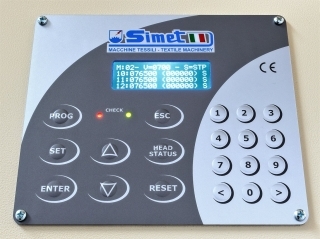 Permits to: - Select and adjust the speed and the radial anti patterning system in each element or in all the machine -	Visualize the status of each head -	Visualize the no. of packages produced -	Select and adjust the meter counter function. It is independent and can be adjusted in each head, in each element or in all the machine. -	Adjust the % of meter correction. Model “K” permits to select and adjust the gram counter function. It is independent and can be adjusted in each head, in each element or in all the machine and to make the equivalence between grams and meters. Adjustable axial movement for the preparation of soft packages with parallel edges. 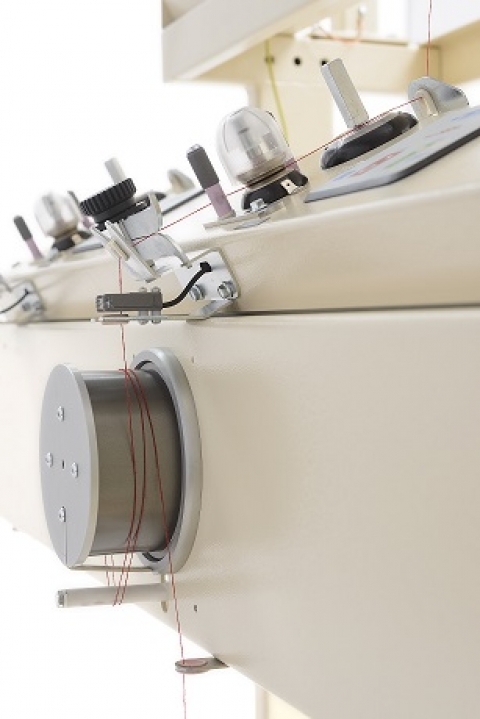 It is possible to mount electronic yarn clearers in the machine.